When director Stanley Kubrick died in 1999, his proposed adaptation of the 1969 short story “Super-Toys Last All Summer Long” by Brian Aldiss did not die with him. Instead, with the approval of Kubrick’s widow, the project was inherited by a second director, Steven Spielberg, who had originally intended only to produce. The resulting film, A.I. 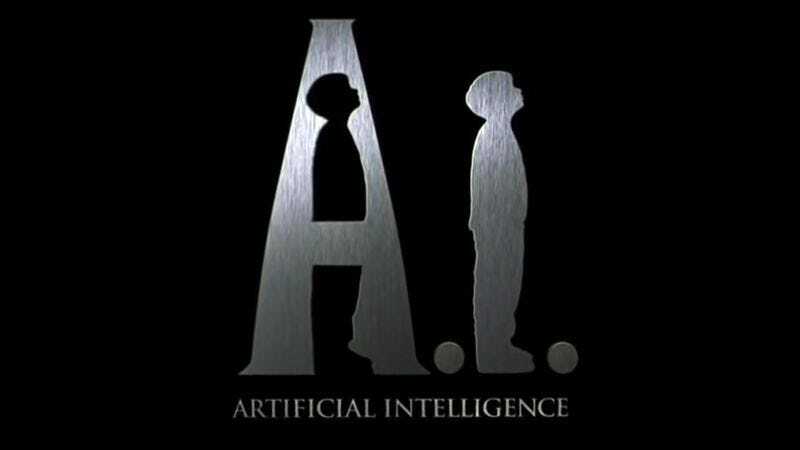 Artificial Intelligence, was released in 2001 to decidedly mixed reviews. A common complaint at the time was that Spielberg had taken a soft, sentimental approach to the material that was at odds with Kubrick’s colder, more detached sensibility. But a new video by French filmmaker Candice Drouet suggests that Spielberg’s film is, in fact, extremely faithful to Kubrick’s style. In fact, A.I. contains numerous visual references to such Kubrick classics as Barry Lyndon, A Clockwork Orange, 2001: A Space Odyssey, and The Shining. Titled simply “Kubrick - Spielberg,” this arresting, minute-long supercut juxtaposes scenes from A.I. at the bottom of the screen with genuine Kubrick excerpts at the top. Kubrick - Spielberg / Candice Drouet from Really Dim on Vimeo. What emerges from Drouet’s haunting video is that A.I. is Spielberg’s valentine to Kubrick. The film practically serves as a Kubrick “greatest hits” reel, revisiting some of the late director’s most memorable images from a four-decade career. When Jude Law’s Gigolo Joe performs an impromptu dance in A.I., for instance, it reminds viewers of Malcolm McDowell’s “Singin’ In The Rain” routine from A Clockwork Orange. A futuristic, three-wheeled passenger vehicle, meanwhile, suggests Danny Lloyd’s iconic tricycle from The Shining. Even a conversation between Haley Joel Osment and Jake Thomas is framed and composed so that it resembles the chilling “lip-reading” scene from 2001: A Space Odyssey. While it is unlikely that Kubrick purists will ever fully embrace A.I. Artificial Intelligence, Drouet’s video at least gives viewers a new way of looking at this much-maligned film.